For most up-and-coming progressive rock bands, while recording an album may be relatively easy because of the advantages offered by modern technology, giving exposure to their music has become increasingly difficult and frustrating. Indeed, as I have often pointed out in these pages, the market is oversaturated, opportunities to play live can be few and far between, and gigs often poorly attended. However, there are some brave souls who have made a mission out of helping new artists gain recognition, making full use of the many possibilities offered by the Internet. One of these people is Nikola Savić, founder of the thriving ProgSphere website, to which I have been contributing articles for the past couple of years. The site, besides the usual reviews, interviews and other assorted news items on the progressive rock universe (with an eye to modern developments such as prog metal, but also a healthy respect for the icons of the genre and its decades-long history), has produced a number of podcasts and 12 compilations of new music, called Progstravaganza, launched in August 2010. With over 22,000 downloads, these compilations have had a remarkable success for an independent endeavour, presenting a wide range of bands and artists – from standard-bearers of the modern psychedelic space-rock scene such as Astra or My Brother the Wind to the elegant jazz-rock of D.F.A. and Forgas Band Phenomena, from the cutting-edge jazz-metal of Exivious and Blotted Science to the heady eclecticism of Moraine, Herd of Instinct and Gösta Berlings Saga. A massive 79-track sampler of tracks taken from the first 11 Progstravaganza compilations has recently been made available on the site’s Bandcamp page. Less than two weeks ago, ProgSphere has announced that a 13th Progstravaganza compilation is in the pipeline, and invited bands and artists to submit their music for inclusion. 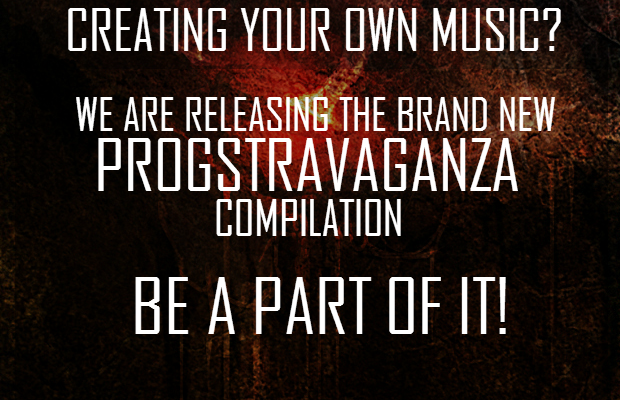 It is an opportunity not to be missed, as Progstravaganza XIII – to be released at the end of July – will be promoted by more than 50 radio stations, and every participant will be covered in depth in the compilation’s digital booklet. The contact information for anyone interested in participating in the initiative can be found in the first of the links below. Thats a great way for people to connect with all of these talented individuals wondering the planet. I’ll check out his site. Thanks, my pioneer of all things progressive and beyond.